The occasion for the company’s annual event is to help donate to CancerCare, a national non-profit organization which is committed to providing professional services to help people manage the emotional and financial challenges of cancer. Three other Minnesota Vikings players will also appear and sign autographs at the same time at other Minneapolis Caribou Coffee locations. In addition to Chad Greenway, Eric Kendricks, Brian Robison and Everson Griffen will appear at three other Caribou Coffee store locations in and around Minneapolis. At each location players will sign autographs in and out of serving coffee to customers. For more information call (952) 476-1070 for Chad Greenway’s appearance at the Wayzata store. 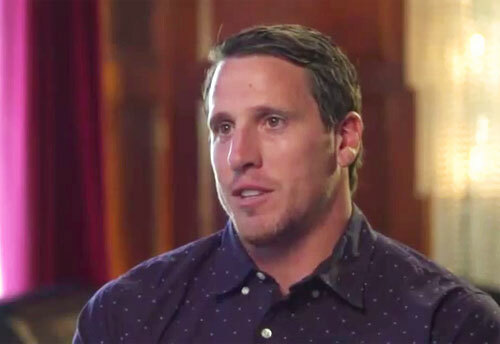 Chad Greenway is a linebacker who has played for the Minnesota Vikings since 2006. He is a 2-time Pro Bowl selection and has played collegiately at the University of Iowa. Greenway entered the 2006 NFL Draft, where he was drafted by the Vikings with the 17th pick in the first round. Greenway was selected to his first Pro Bowl after a career-high 154 tackles, 13 tackles for loss, 2 sacks and a fumble recovery during the 2011 season. He is also a popular guest speaker.